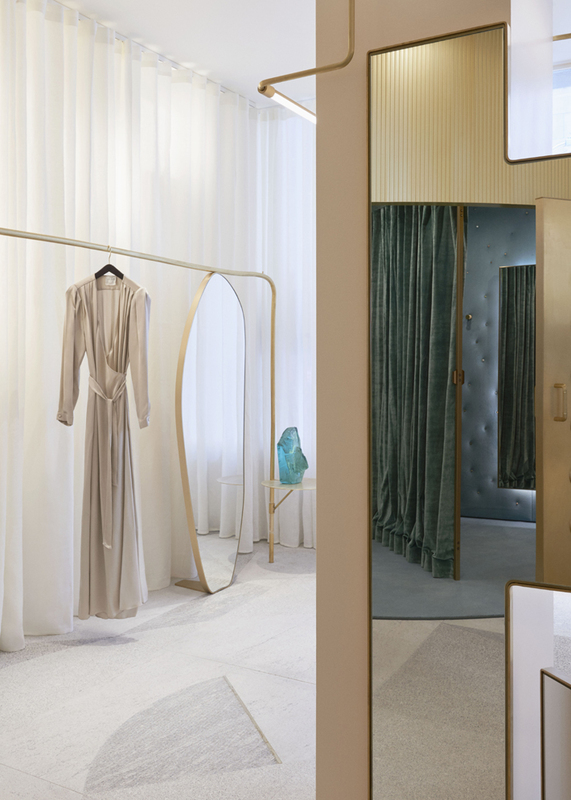 When I first saw the Italian-based fashion brand Forte Forte’s new boutique in Paris I immediately wanted to be inside the stunning retail design! 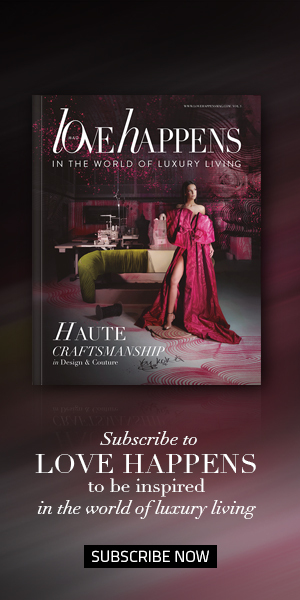 Instantly inviting and exuding a simple feminine glamour synonymous with the Forte Forte brand. 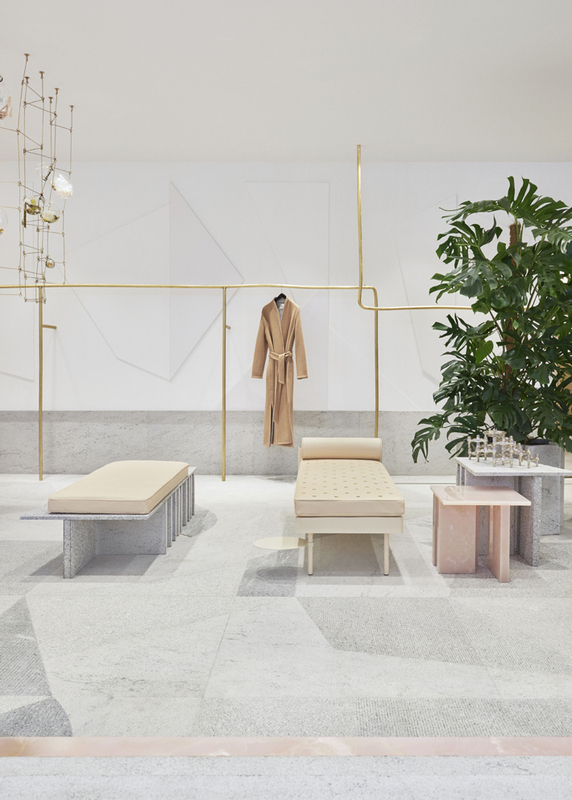 Located at 11 rue de Grenelle, the Paris store is Forte Forte’s second retail design. 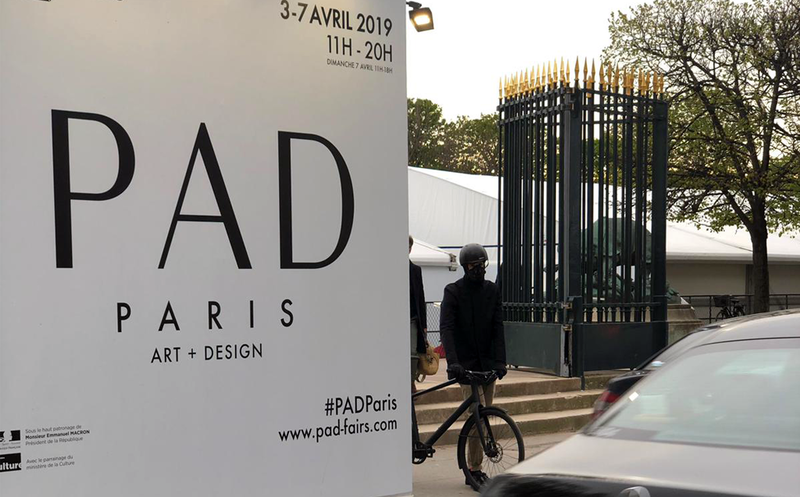 The first opened in Milan in the Spring of 2018. 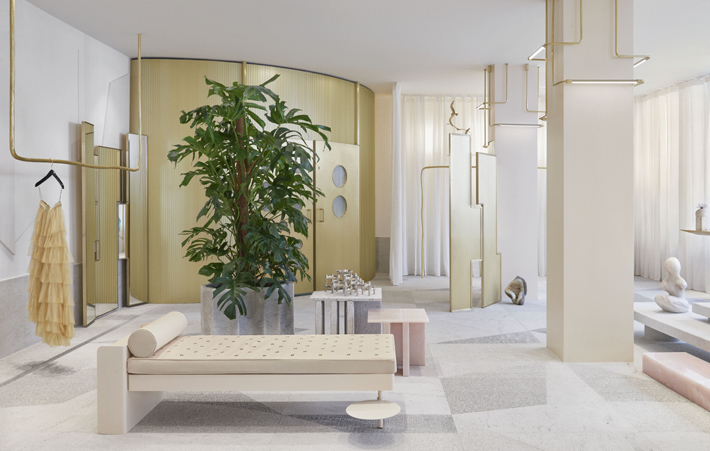 Curated by the brand’s art director Robert Vattilana and his life partner Forte Forte co-founder Giada Forte, the space is dressed in a soft palette of pink, gray and white with accents of gold and brass throughout. 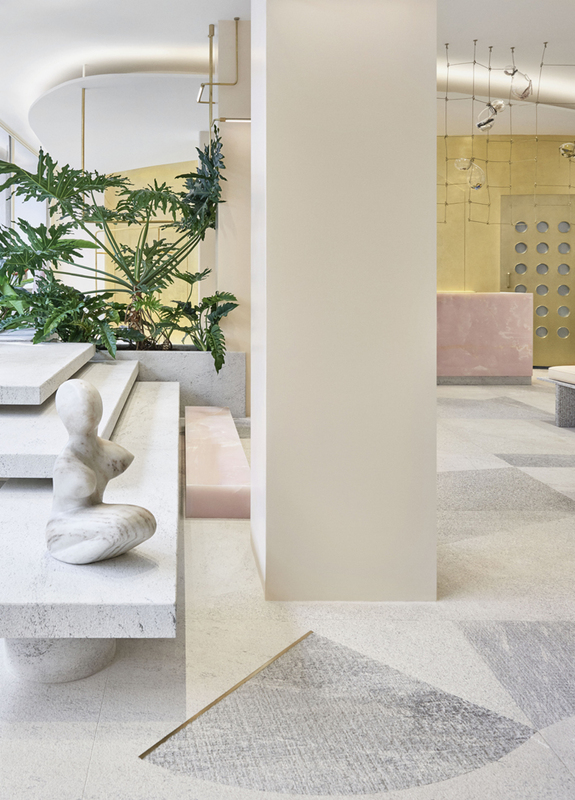 The sweeping golden walls and greenery warm and soften the coolness of the granite and quartz floor and white walls. 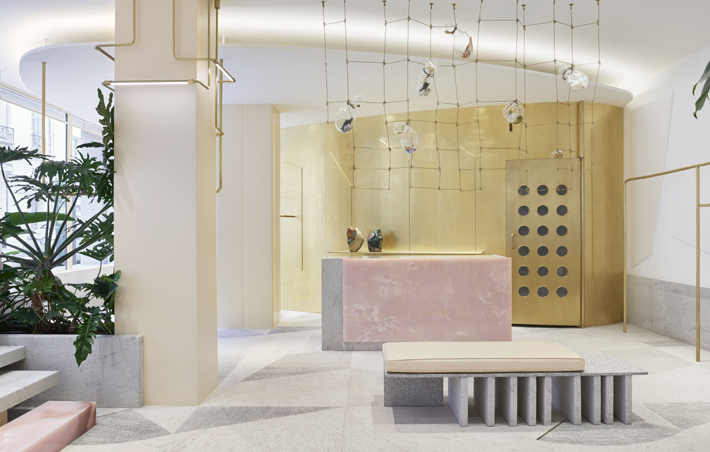 Luxurious materials such as pink onyx, naturally rough Jade stones, and an Afghan stone stalactite serve as jewels throughout the dreamy retail design. 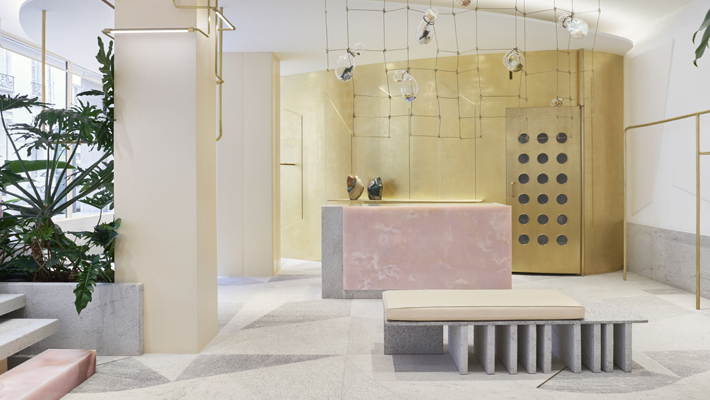 Forte Forte’s retail design concept for both their Milan and Paris boutiques is a continuation of the brand’s story. In 2002 siblings Giada and Paolo Forte combined their respective expertise in knitwear and business and began the brand. They launched the label with a small collection of hand-made t-shirts from their family home in Veneto. 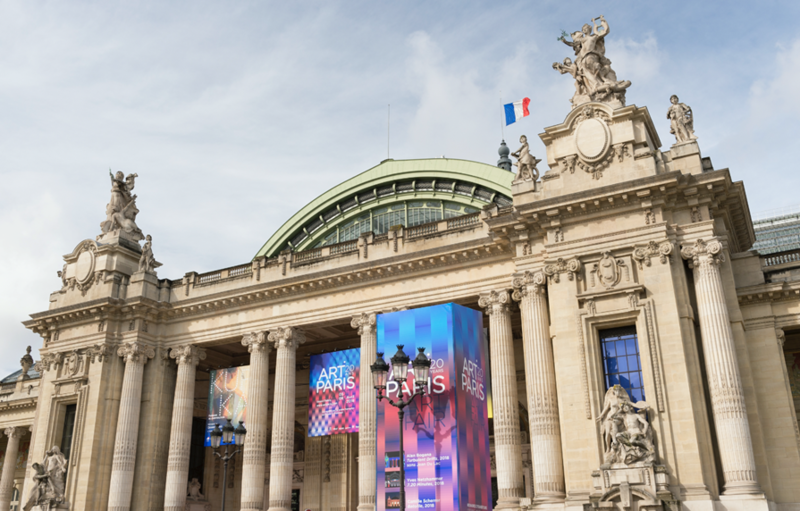 And over the last 16 years, they have grown it methodically and with authenticity and emotion. 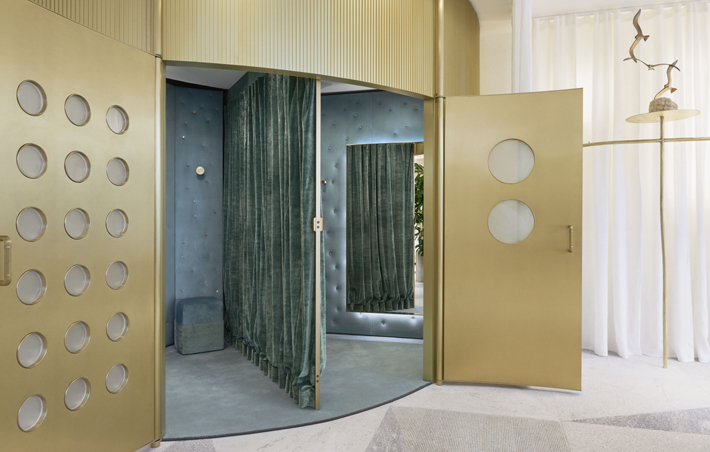 Forte Forte aims to dissolve the distance between the clothes and person. The founders describe their collection as timeless, feminine and delicate. 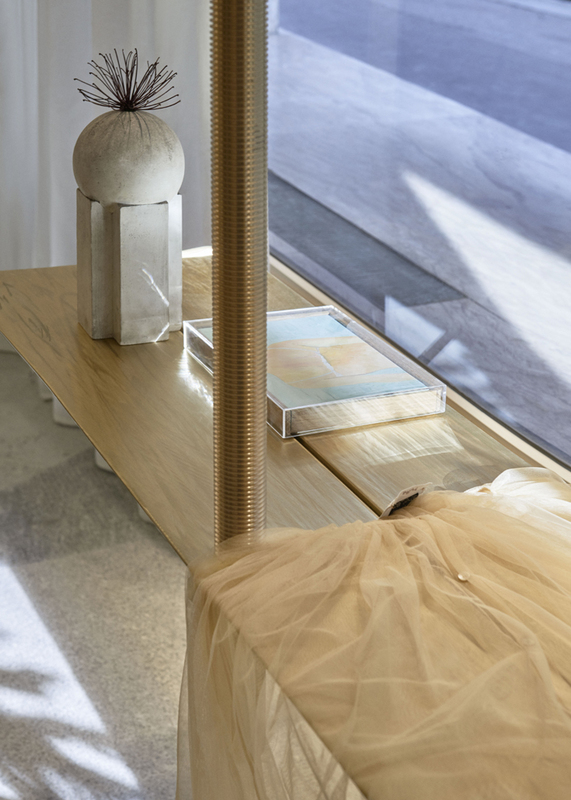 Certainly an aura they have perfectly matched in the Paris shop’s interior!